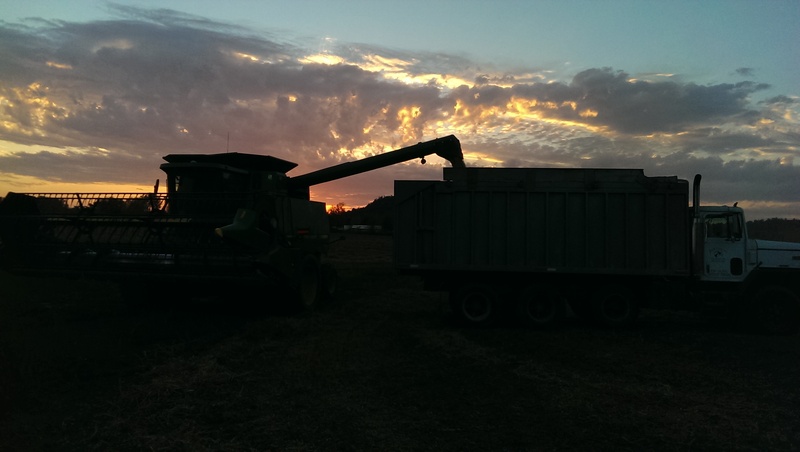 Finished up combining soybeans today. 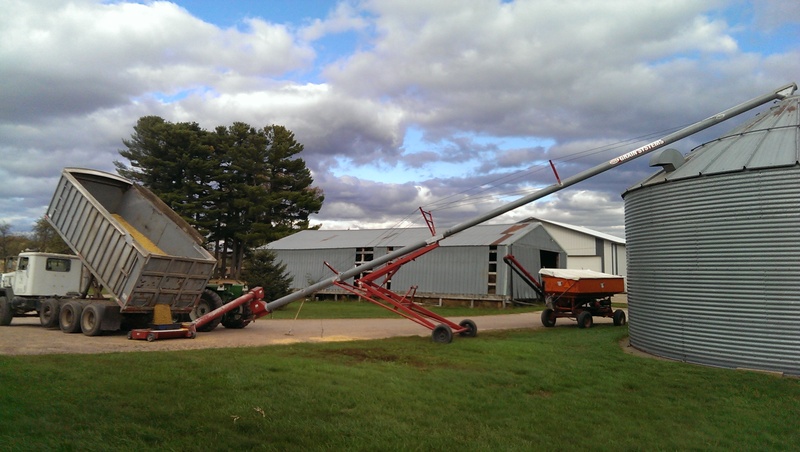 We didn’t have a lot of acres of beans this year, and we definitely didn’t have any problems keeping up with the trucks! 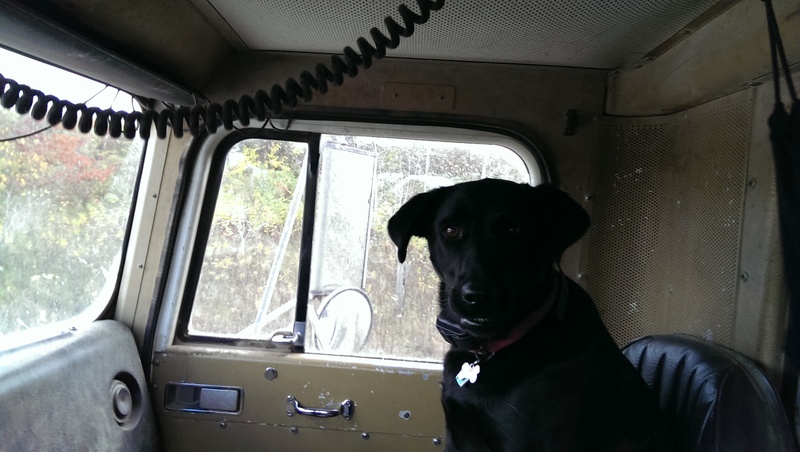 My trucking buddy on Saturday, she always loves an adventure! 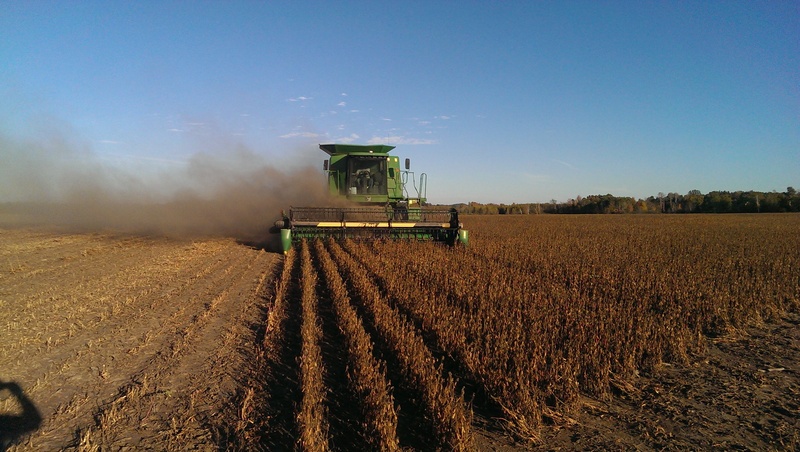 All we have left for harvest now is a couple hundred acres of corn, and baling up bean and corn stubble. We plan on making high moisture corn out of most of our corn because it will be very wet coming off the fields. 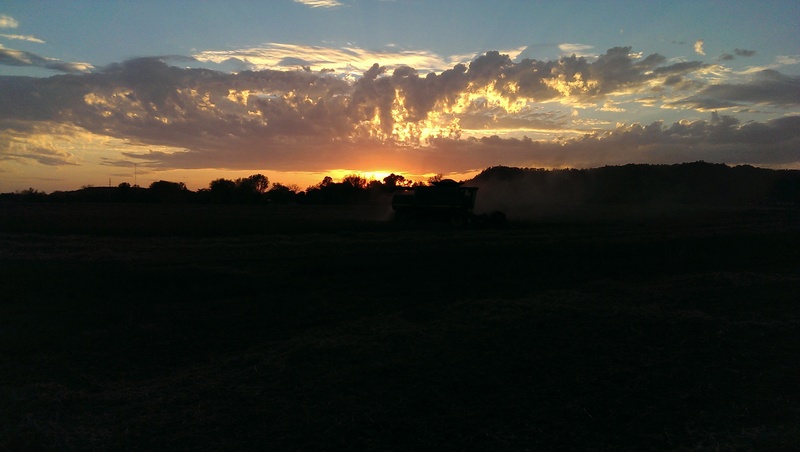 I’m ready to have this cropping season in the rear view. It has definitely been one to remember, and not for any good reasons! This entry was posted in Agronomy and tagged agriculture, agronomy, Animals, combine, corn, cows, crops, dairy cows, dairy farm, dairy farming, dairy farming today, dairy good, dairygood, factory farming, family farm, family farming, farm, farmer, food production, John Deere, loveable mutt, machinery, milk, Modern Agricuture, modern farming, organic farming, pets, production agriculture, Production agricuture, sustainable agriculture, sustainable agricuture, Wisconsin dairy farming. Bookmark the permalink.